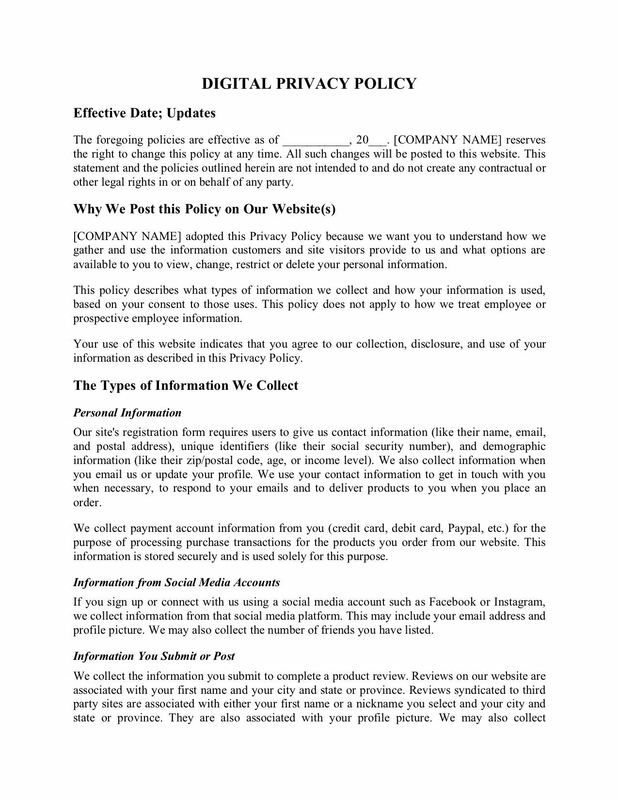 The Policy explains how personal information is gathered and what the site operator does with the information. Updated to comply with GDPR rules for EU residents. Customers buying goods or services and providing information must be at least 18 years old. Details of when and how access to information is given to third parties and for what purposes. The website operator is responsible to provide information to legal or government authorities as required by law. A description of what types of security measures are used to protect the information stored on the website. where to find information on PIPEDA. Does your website run an affiliate program? 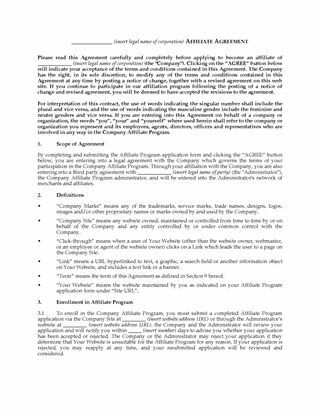 Make sure you clearly state the terms of the program with this Website Affiliate Agreement for Canadian websites. use of links by affiliate. The Canada Website Affiliate Agreement is fully editable to fit your circumstances. Provided in MS Word format, and can be converted to html for online use. 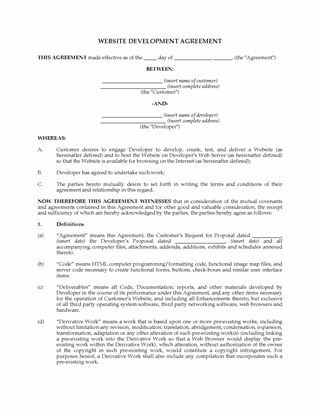 Canadian web developers, write your customer contracts with this comprehensive Website Development Agreement template for Canada. This Canada Website Development Agreement is provided in MS Word format, and is totally editable to meet your exact needs. The digital template can be easily modified to fit your unique business. To get your copy of the Online Catalog Disclaimer, add it to your cart, check out, and download the file. 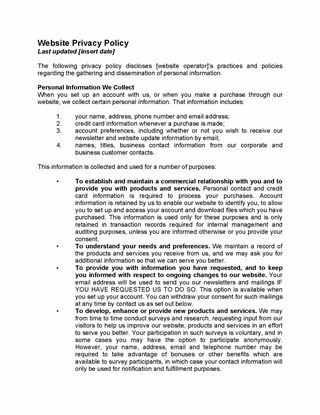 Post the terms of this Online Magazine Subscription Agreement on your website for subscribers to accept before being given access to online editions of magazines or newspapers. 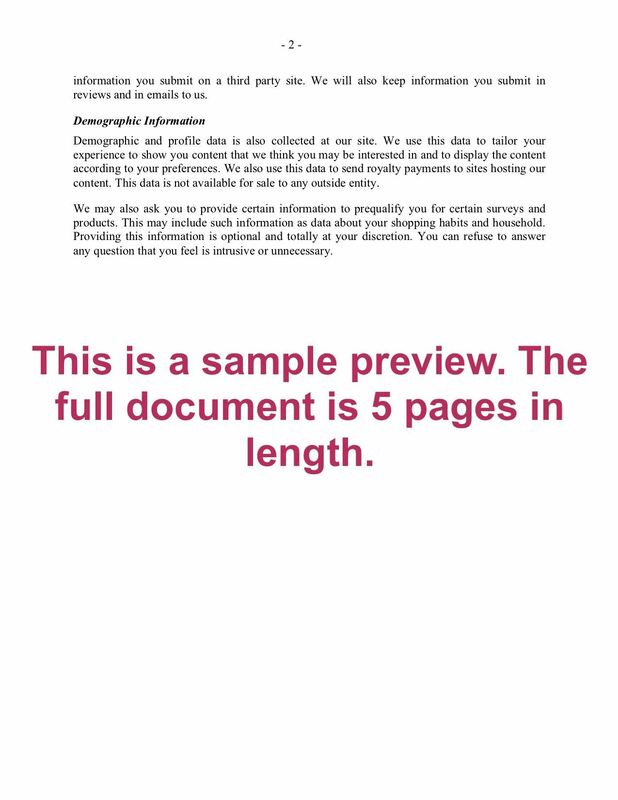 The subscriber agrees to let the magazine publisher provide certain statistical information to advertisers. This information will not include any personal identifying information such as name, address, phone number, or email. The publisher reserves the right to charge a fee to access any information on the website. Intellectual property rights to all material published on the publisher's website are the property of the publisher or its licensors. The publisher makes no warranty with respect to the accuracy or completeness of any information on the website. 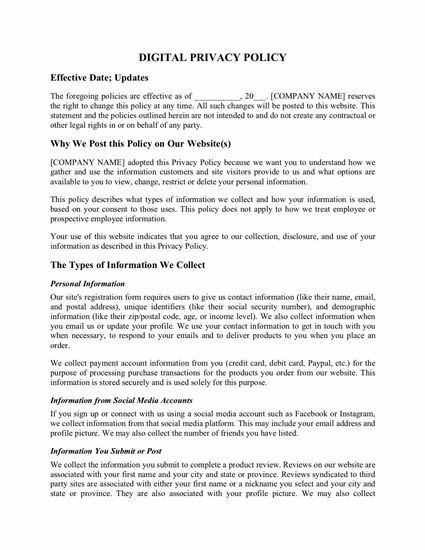 The Online Magazine Subscription Agreement is available in MS Word format, which is easily converted to html for posting on your website.